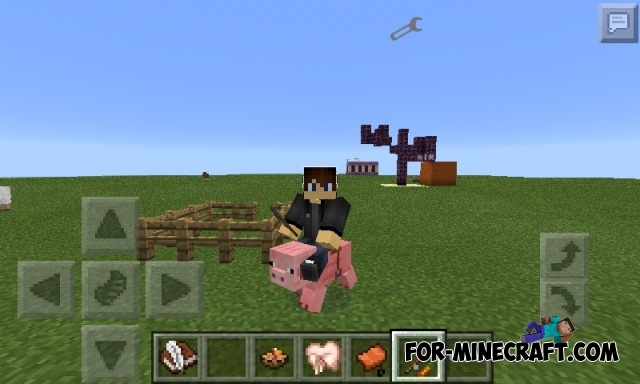 MCPE Like 1.9 mod adds some features to MCPE 0.12.1, blocks and creatures from the PC version of the game. Mod just incredibly cool. After installation, you will have more than 20 different new blocks, new items, new "levitation" effect and even a new mob - endermite, which appeared only recently in the PC version of the game. And also it was added the jukebox with which you can listen to a different tune. Music disc (IDs) - 2256 - 2268. The effect of levitation and endermite. 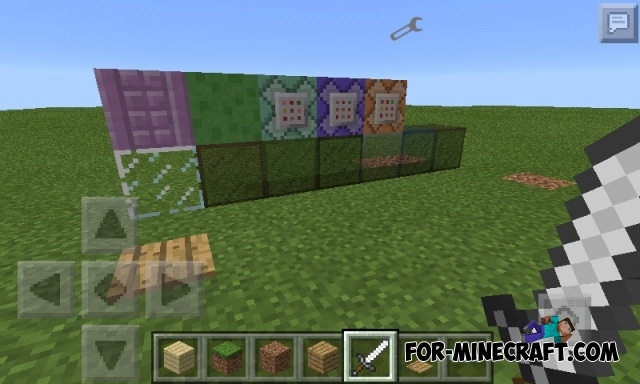 New blocks, among them - the command block, slimes, various types of glass and others. The ability to ride a pig! Install texture pack before playing! Important! please move the folder named "modpe" to games/com.mojang/paste here example : games/com.mojang/modpe. Don't move the jukebox folder. 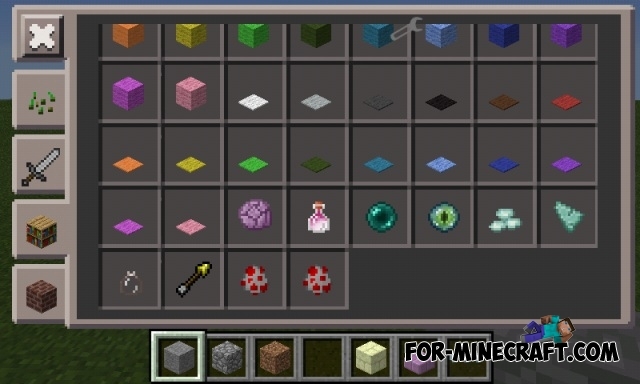 Some crafting recipes uses stonecutter some one crafting table. Use toolbox mod if you want to use a inventory editor for easy access. 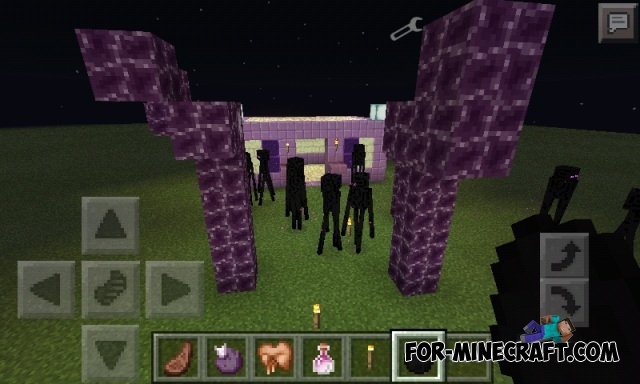 Enderpearls is the base off almost all crafting recipes it is dropped by enderman. Secondary kill squids to get ocean monument stuff.